One, there is always a form for everything and there’s always a line. Two, they had no pens that worked, so I used my own green pen. After waiting 90 minutes, the DMV informed me that green pens were unacceptable and I’d need to re-do the forms. I threw them a look so fierce, I almost startled myself. Yes, I can use black ink and no, I won’t be sitting down again. 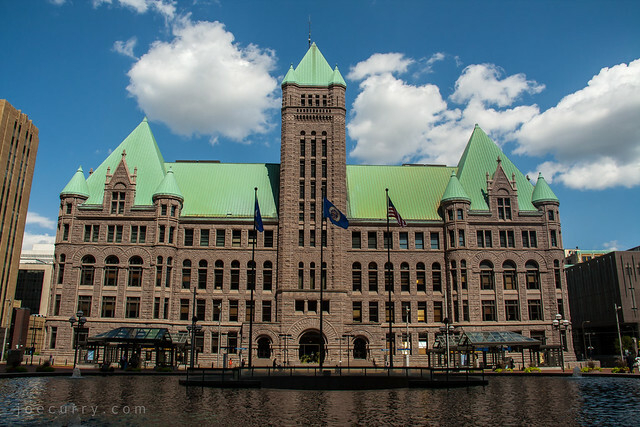 Before I left, I snapped a photo of Minneapolis City Hall, with a copper roof that’s now acquired its characteristic green patina There’s at least one bright spot in every day though, and sometimes you can even taste it. 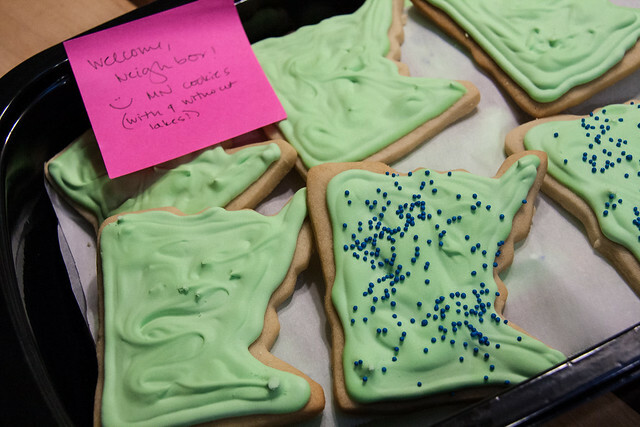 I was pleasantly surprised to find a housewarming gift on my front doorstep: Minnesota cookies made by my friend (and now suburban neighbor) Pauline, which she noted are decorated with and without the lakes. This entry was posted in General, Minneapolis by Joe Curry. Bookmark the permalink.